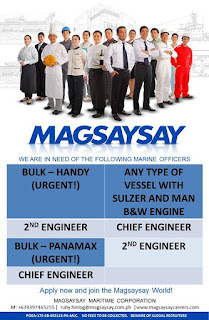 SEAMAN JOB INFO - Magsaysay Maritime Corporation hiring Filipino seaman crew for bulk carrier handysize with crane and bulk carrier Panamax vessel joining A.S.A.P. 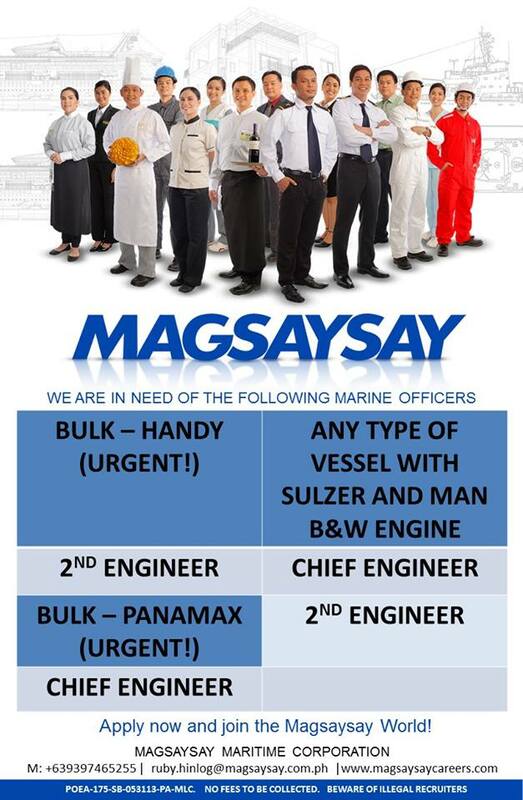 Please share to help other seaman looking jobs at sea. Jobs for seafarers and offshore. 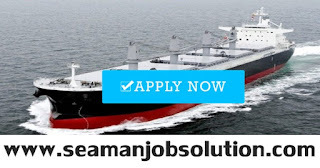 New jobs in maritime industry & offshore career guide. 0 Response to "Hiring Crew For Bulk Carrier Handysize & Bulk Carrier Panamax"